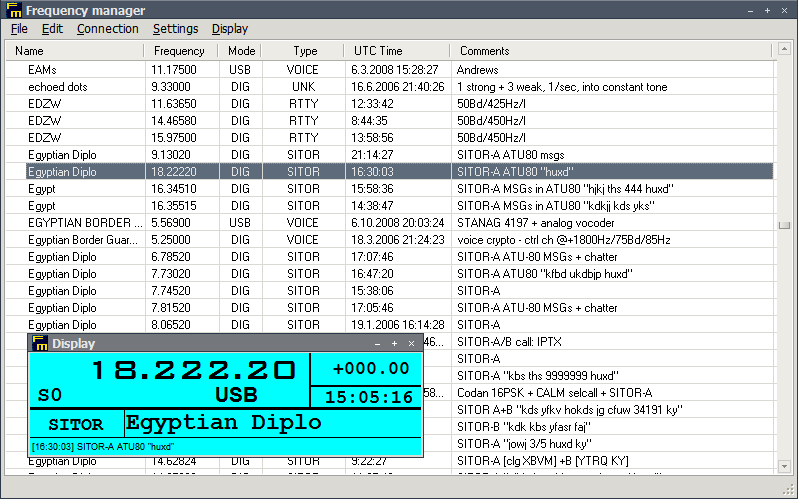 This is small frequency manager I created because no other software had features I wanted. Note: The frequency display uses Bank Gothic font that's not normally available in windows. You can download it here: www.font-zone.com/download.php?fid=111. Font must be installed in Control Panel / Fonts, Menu File/Install new font - copying just to program directory will not work. This version fixes problem with >2147MHz frequencies. But still this doesn't work correctly with SpectraVue out of the box. Problem is in spectravue.exe, it can't handle numbers higher than 2.147483648GHz.